$14.95 & FREE Shipping on orders over $59. These have a polypropylene handle and base, with borosilicate glass and a stainless plunging/filtering system. 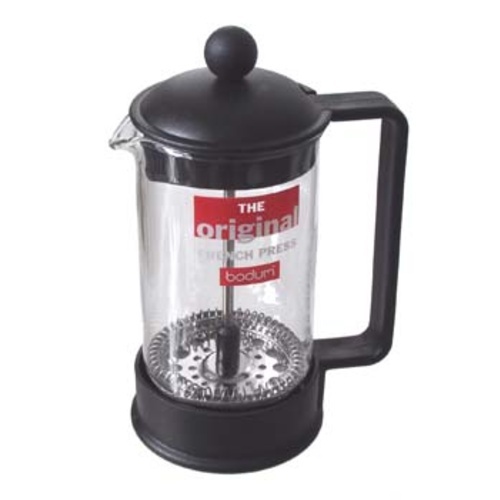 It has a domed lid to seal in the aroma and maintain temperature. This little guy makes a perfect mug of coffee - ideal for one person.